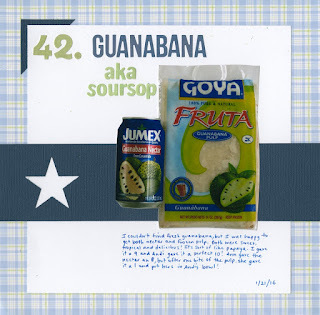 Item #42 in my 43 new-to-me birthday challenge was guanabana, aka soursop. 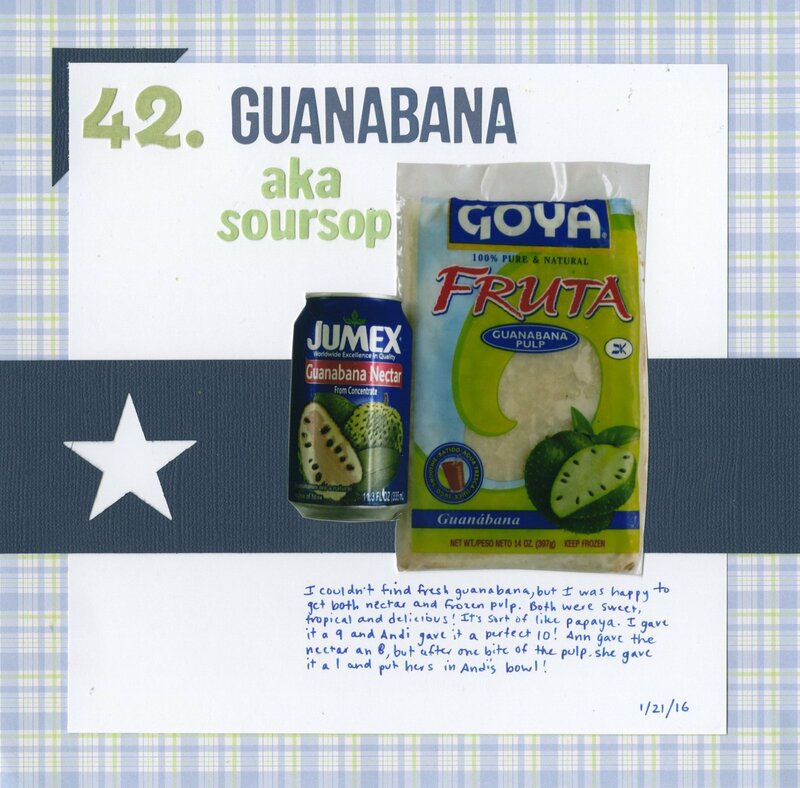 I tried to find fresh guanabana, but was happy enough to get both guanabana nectar and frozen guanabana puree. Guanabana. It's a fun name. So how did it taste? Yummy! It was sweet and tropical and fruity (as you'd expect from a tropical fruit). It tasted a little bit like papaya, banana and pineapple had a baby. I liked it a lot and gave it a 9. Andi gave it a perfect 10! Ann had a totally different reaction. She liked the nectar, giving it an 8. But she absolutely hated the pulp and gave it a 1. Both Andi and I thought the nectar and pulp tasted pretty much the same. One of the most interesting things about this project has been seeing how different people really do taste things differently from each other. LOVING this!!! And awesome that you found one that got higher marks than most!!!!! I love the description: It tasted a little bit like papaya, banana and pineapple had a baby. It makes me want to try it! Sounds yummy! I love banana and pineapple! I really wish I hadn't read this blog post whilst hungry though!!! It is yummy! We get fresh ones here! Glad you like it!